Leonardo DiCaprio plays legendary explorer Hugh Glass who is attacked by a bear and left for dead by the rest of his team. Now he wants vengeance against those who left him. This should make for a decent film so we will keep an eye on this upon release! Leonardo DiCaprio have really started to do some interesting movies, which is really good news as far as we are concerned. I for one will be taking a closer look upon release. So that was The Revenant movie trailer, are you excited by what you have just seen? Please let us know you thoughts on this or any over upcoming movies by subscribing and leaving a comment below. If you enjoyed The Revenant why not own it on Blu-ray now!!! 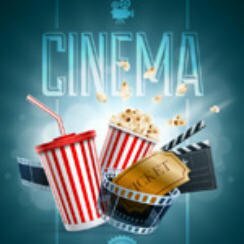 Please have a look around the site, we have reviews, trailers, quizzes, quotes, blu-ray deals, new releases and lots more..
Oh and you can follow us on social media, Twitter, Facebook, Youtube, Google+, Pinterest and others, by simply clicking on one of the social icons in the sidebar.